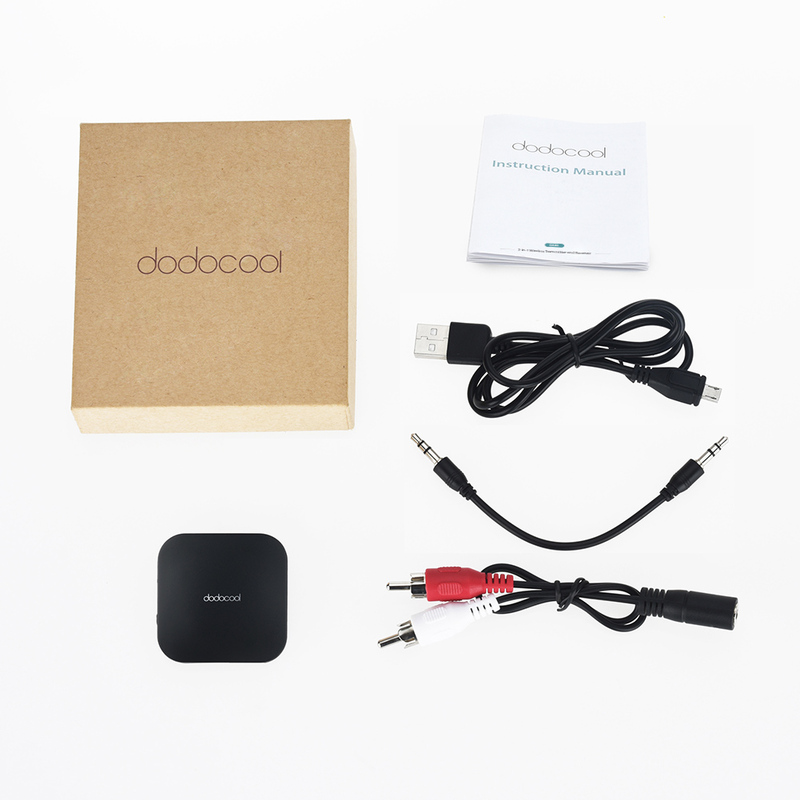 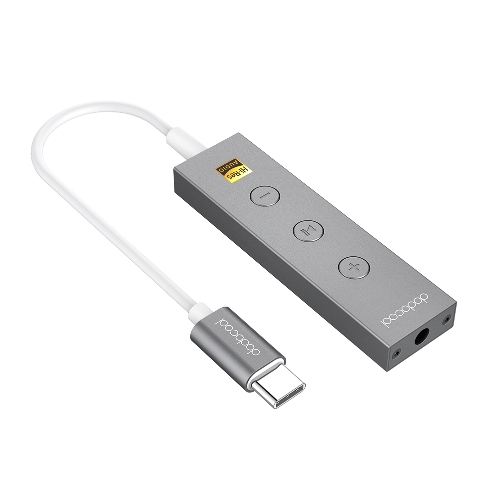 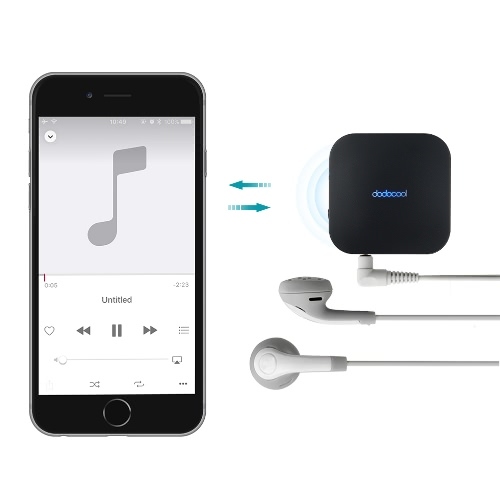 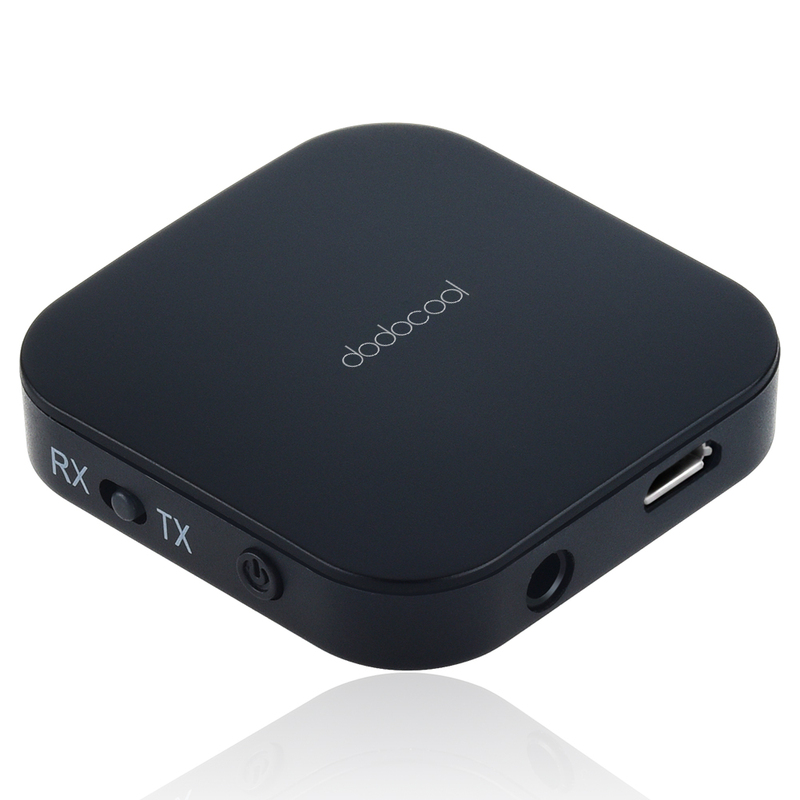 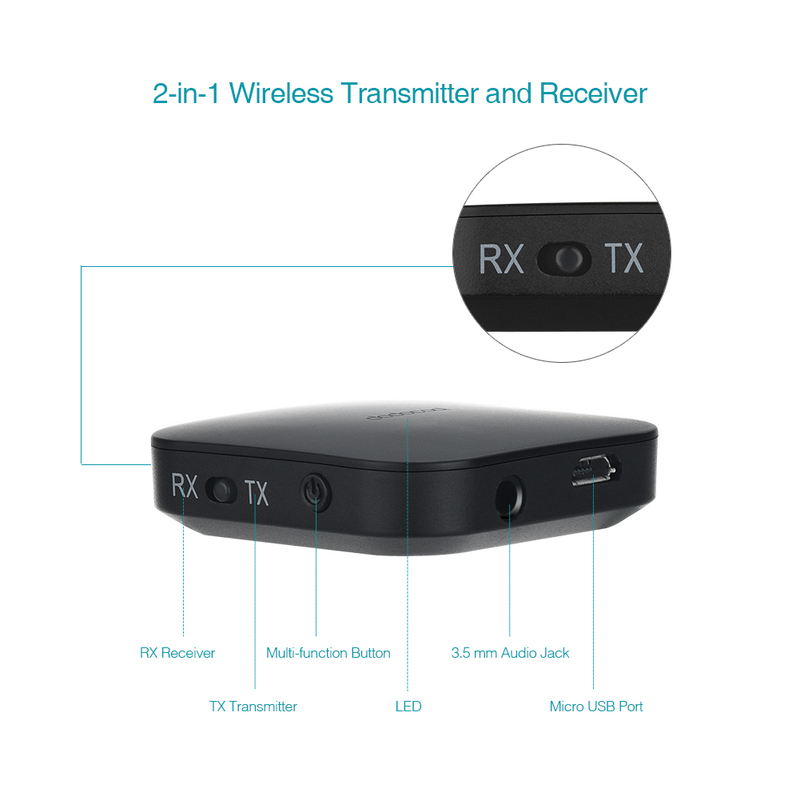 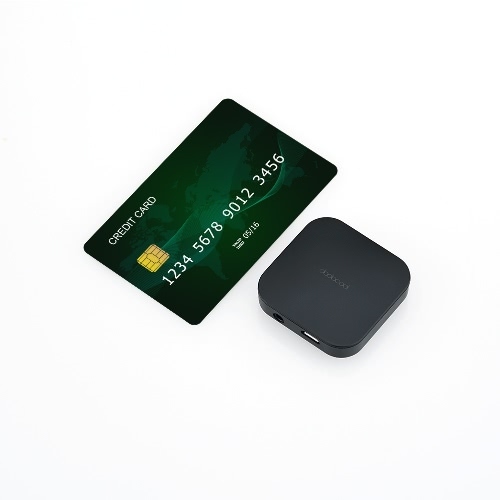 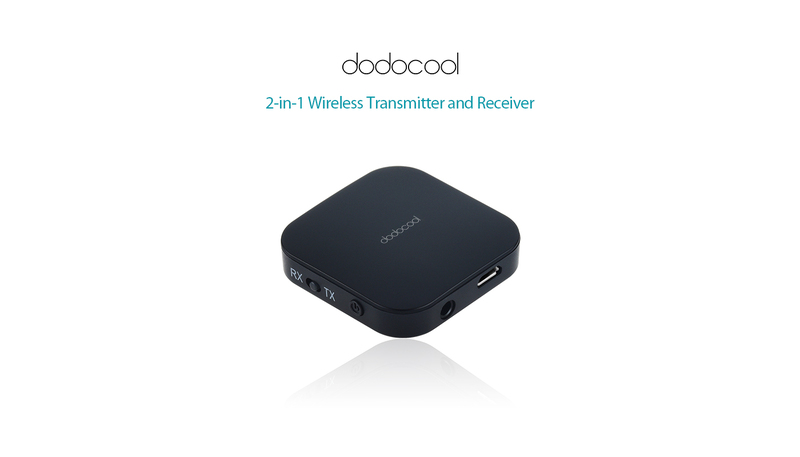 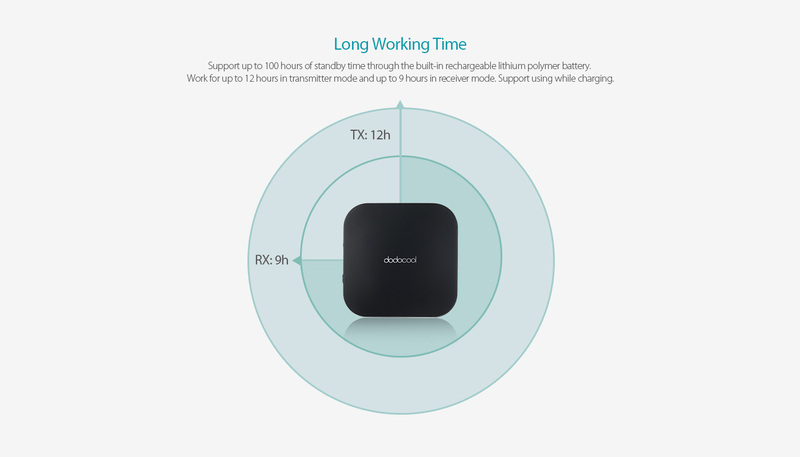 dodocool 2-in-1 Wireless Transmitter and Receiver is a versatile gadget that can be used to either transmit or receive high quality music wirelessly 33 feet away. 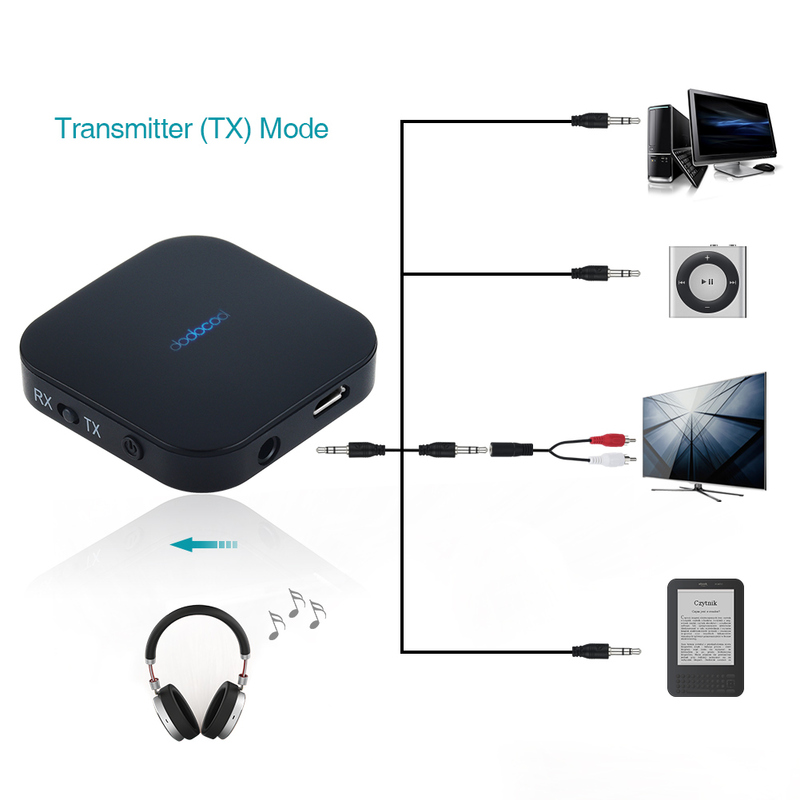 With this tiny, portable and convenient device, you can enjoy fascinating TV shows with a Bluetooth-enabled headphone or speaker, or play music in your smartphone wirelessly from a wired speaker, headphone, car stereo, and home stereo system. 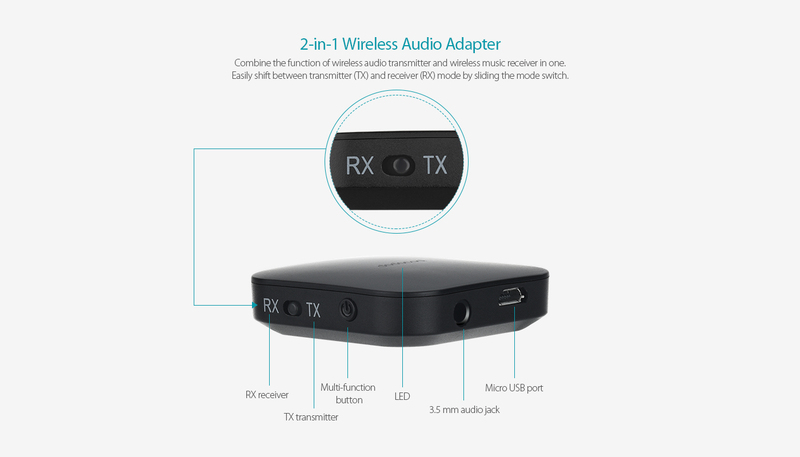 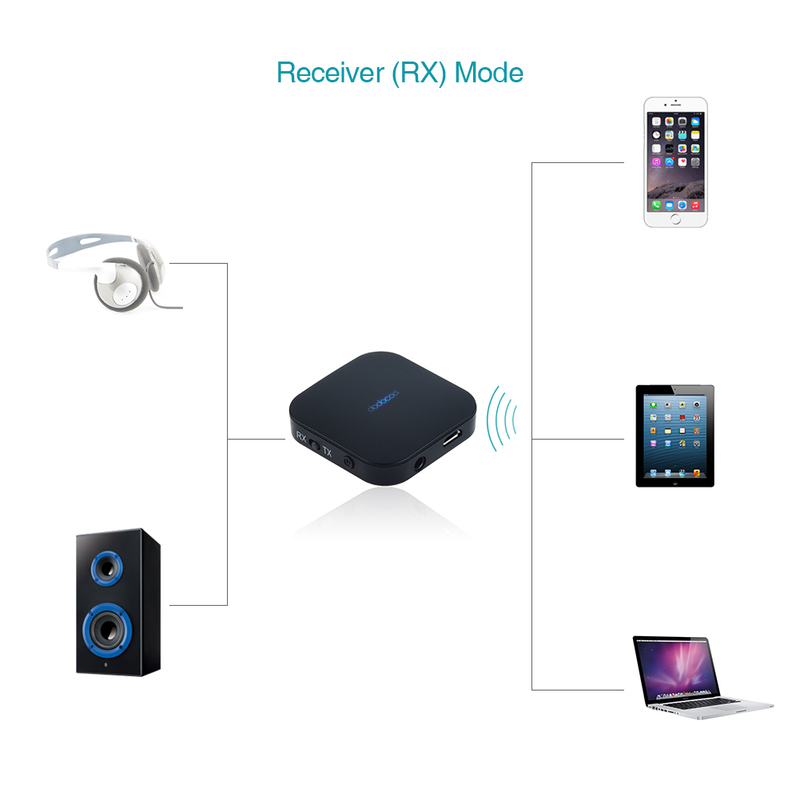 Combine the function of wireless audio transmitter and wireless music receiver in one. 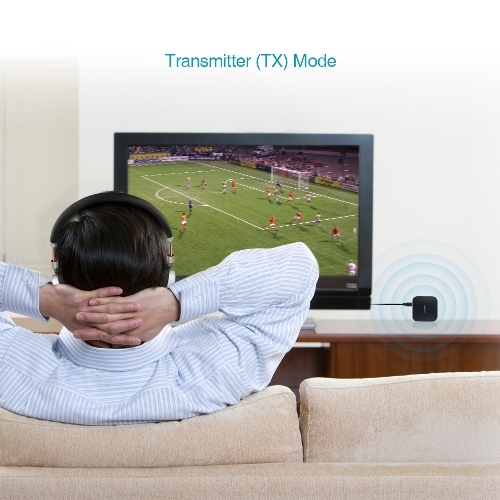 Easily shift between transmitter (TX) and receiver(RX) mode by sliding the mode switch. 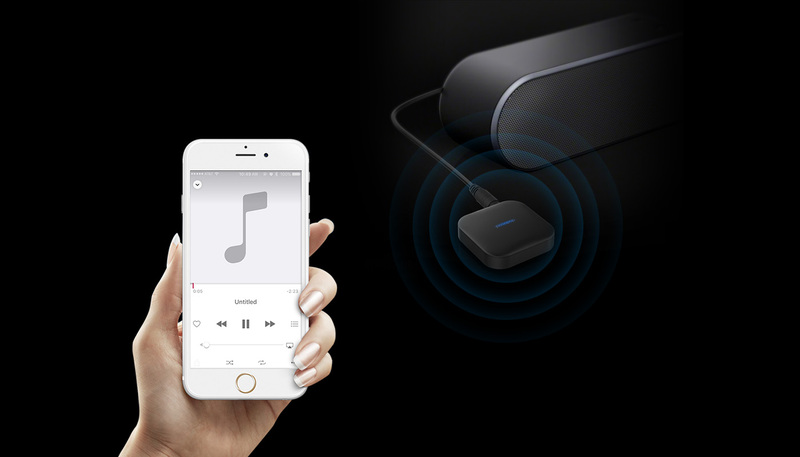 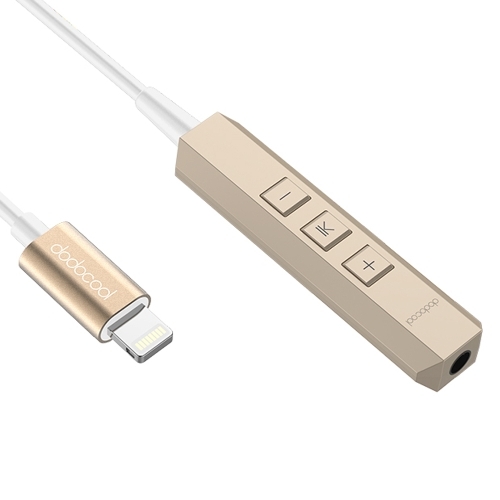 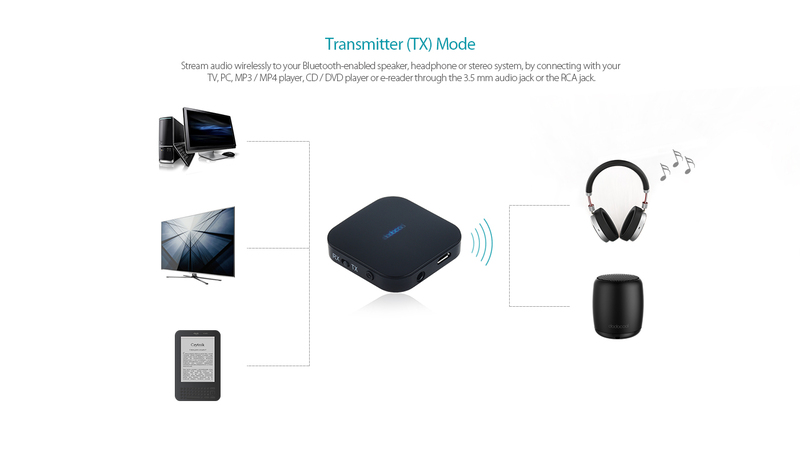 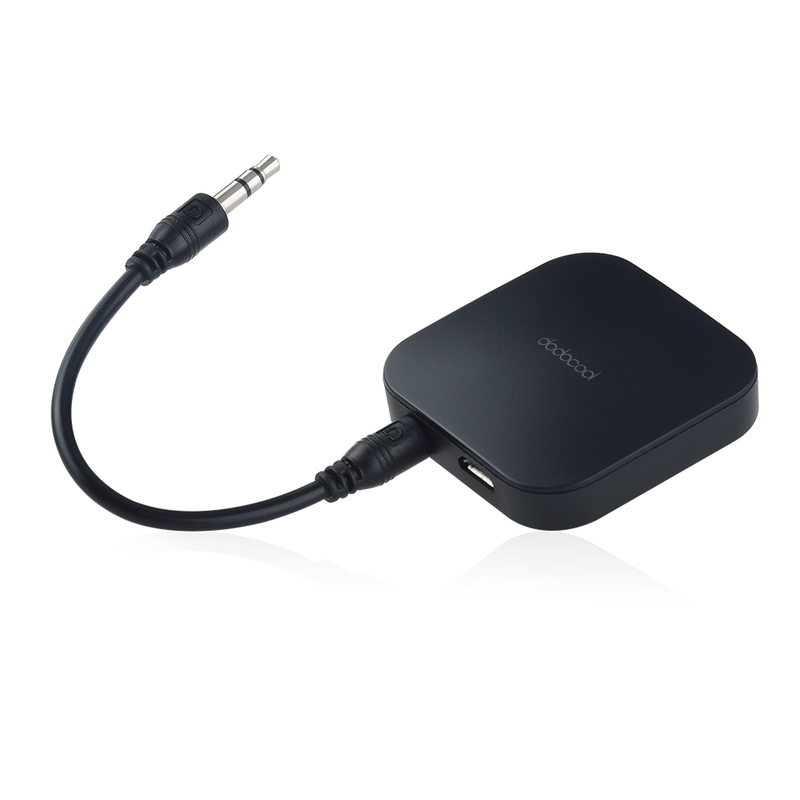 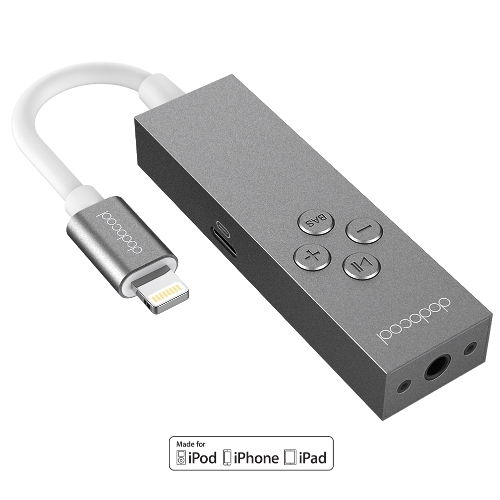 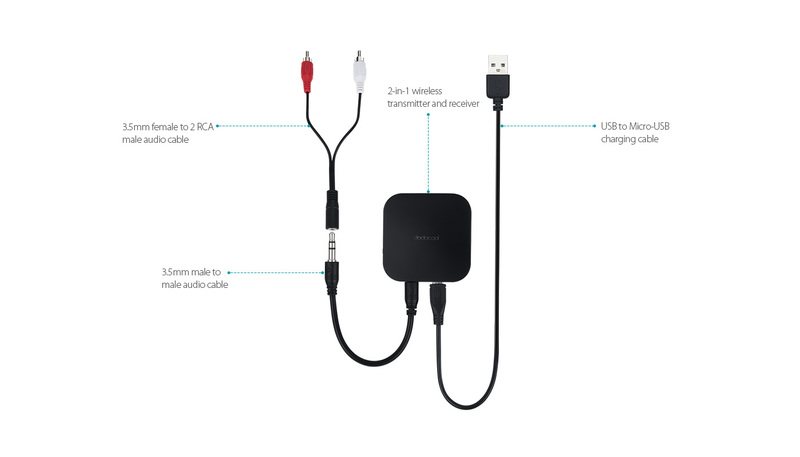 Stream audio wirelessly to your Bluetooth-enabled speaker, headphone or stereo system, by connecting with your TV, PC, MP3 / MP4 player, CD / DVD player or e-reader through the 3.5 mm audio jack or the RCA jack. 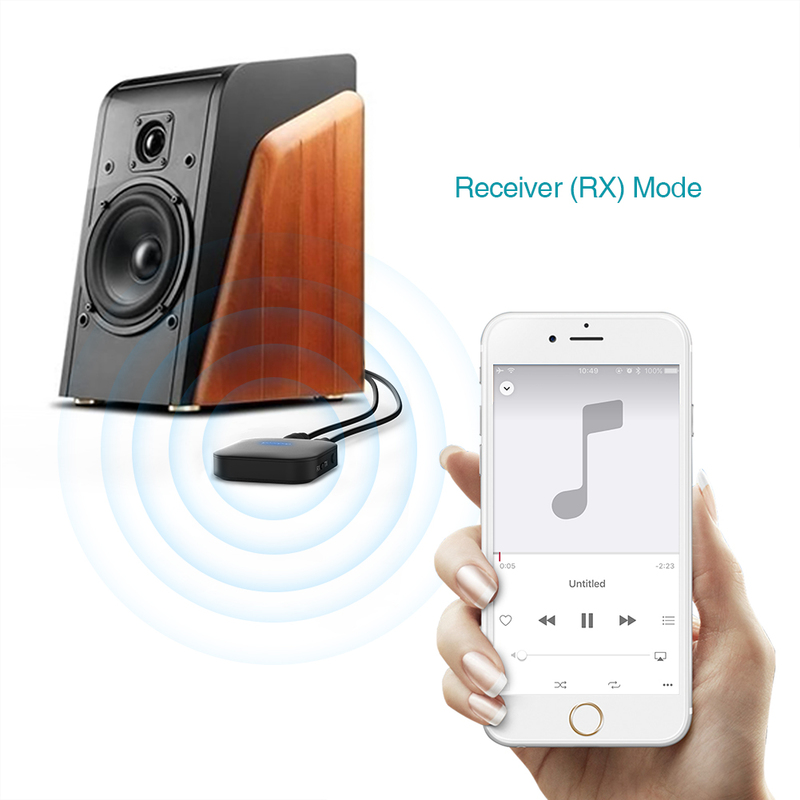 Stream audio to your wired speaker, headphone, car stereo or home stereo system with the 3.5 mm audio jack wirelessly, from your Bluetooth-enabled smartphone, tablet or other media player. 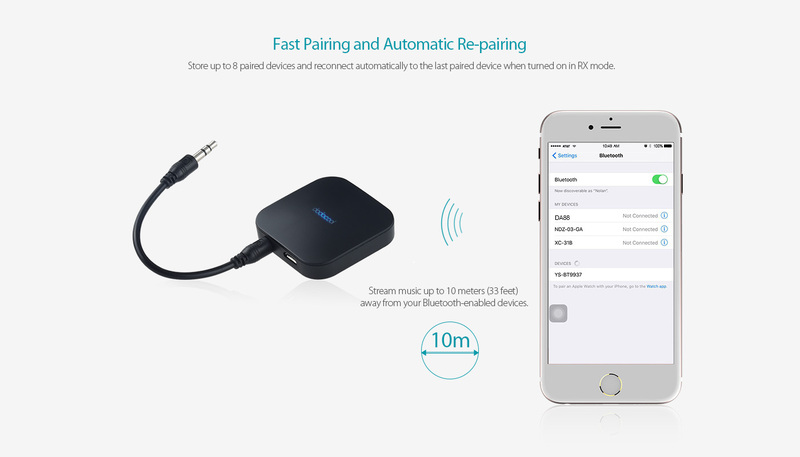 Store up to 8 paired devices and reconnect automatically to the last paired device when turned on in RX mode. 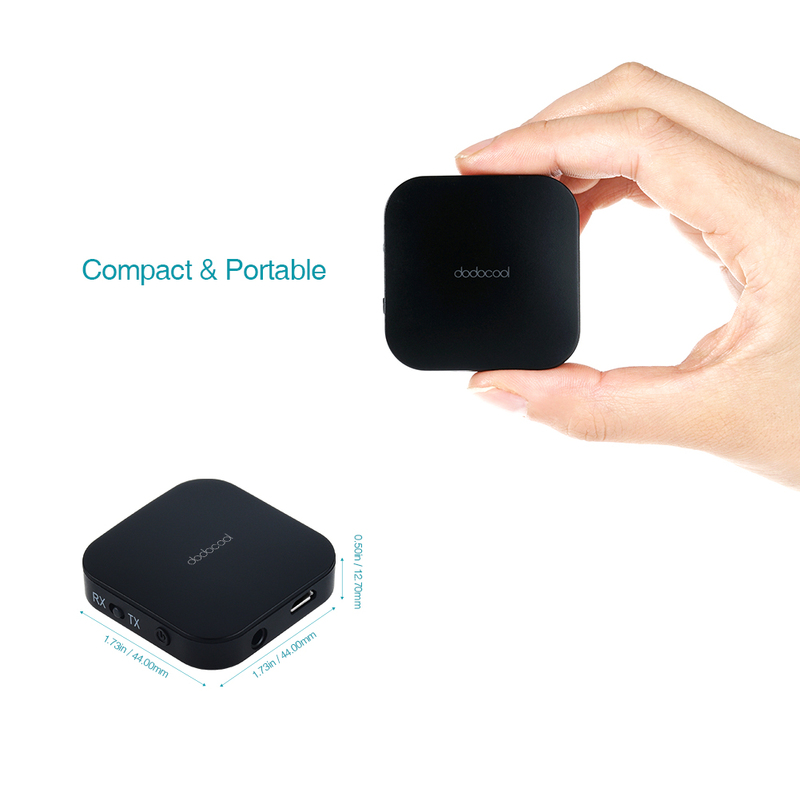 Support up to 100 hours of standby time through the built-in rechargeable lithium polymer battery. Work for up to 13 hours in transmitter mode and up to 9 hours in receiver mode. 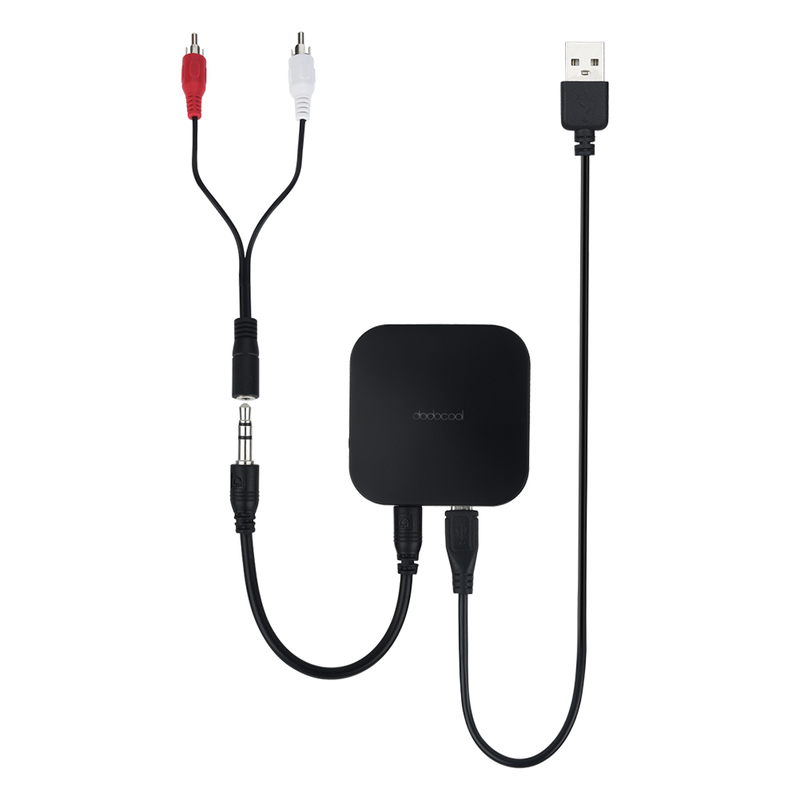 Support using while charging. 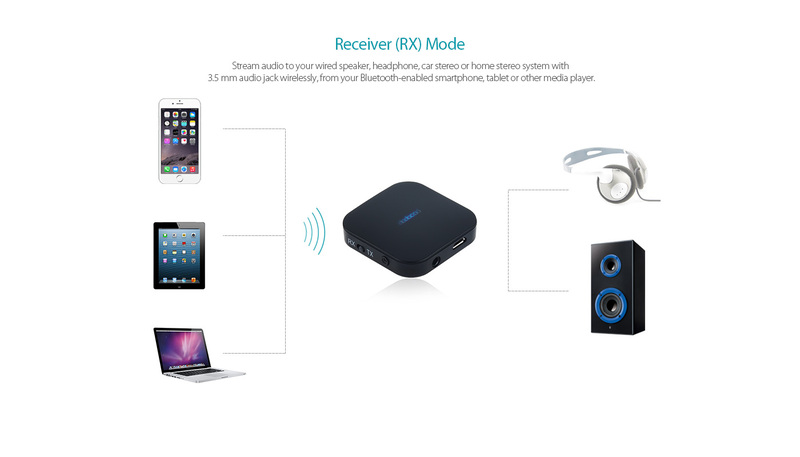 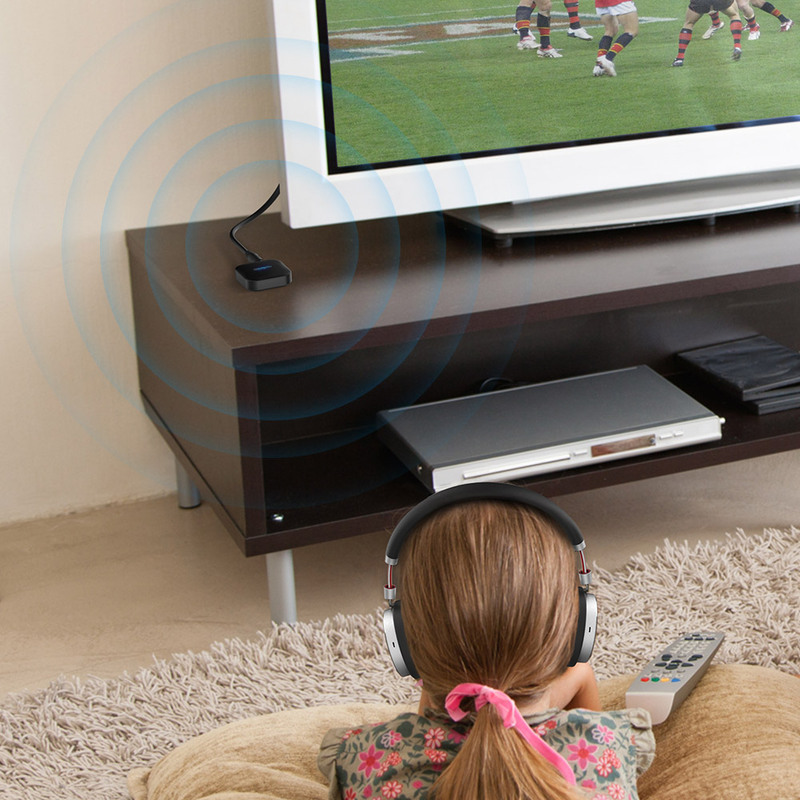 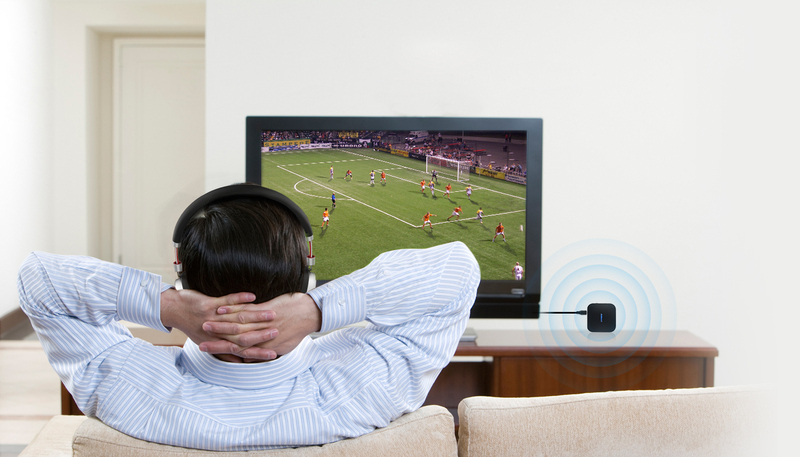 Stream music up to 10 meters (33 feet) away from your Bluetooth-enabled devices. 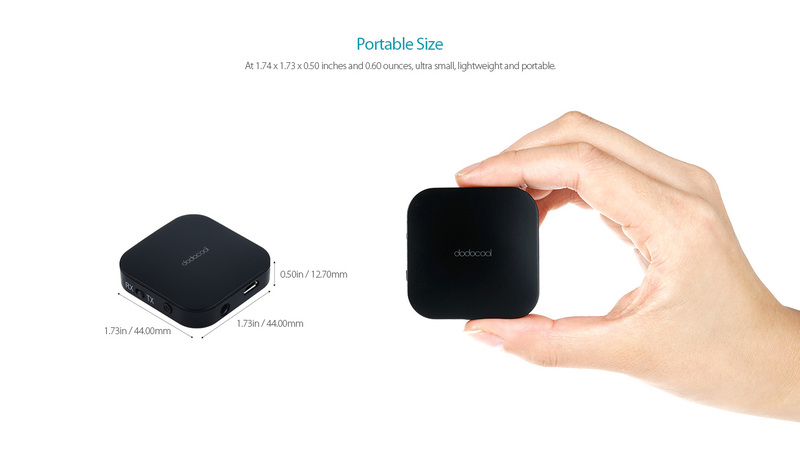 At 1.74 x 1.73 x 0.50 inches and 0.60 ounces, ultra small, lightweight and portable.